This is the second meeting of the AIADMK legislators convened after August 28, to which the Sasikala-Dinakaran faction was not invited. They have been invited for the Tuesday meeting. The Sasikala-Dinkaran faction has around 20 legislators. Tamil Nadu’s ruling AIADMK led by Chief Minister K. Palaniswami and Deputy Chief Minister O. Panneerselvam has called a meeting of legislators on Tuesday ahead of the party’s September 12 General Council meeting. However, the MLAs belonging to the now jailed General Secretary V.K. Sasikala and her nephew Deputy General Secretary T.T.V. 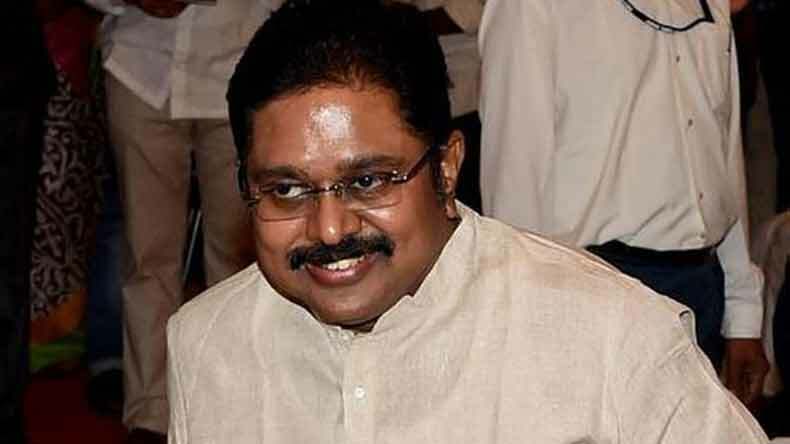 Dinakaran will not attend it, a Dinakaran faction leader said. The Speaker issued the notice on receipt of communication from AIADMK’s Chief Whip following the letter given by 19 legislators to Governor C. Vidyasagar Rao withdrawing their support to Chief Minister Palaniswami. Following the death of AIADMK General Secretary and Chief Minister J. Jayalalithaa, the party split into three factions. The Election Commission has frozen the party’s ‘two leaves’ election symbol due to competing claims. Last month, the two factions led by Palaniswami and Panneerselvam merged. This group wants to oust Sasikala, who was a long-time aided to Jayalalithaa, as General Secretary. In a new development, two AIADMK MPs, M. Udhaya Kumar and B. Senguttuvan, met Dinakaran at his residence on Monday and extended their support to him.